One&apos;s mental picture of Western New York is often understandably monopolized by Niagara Falls, including its awe inspiring state park - the nation&apos;s oldest. But Buffalo&apos;s place in history as one of the world&apos;s preeminent industrial cities also affords it a collection of world-class museums. To be honest, when I first visited Buffalo&apos;s Albright-Knox Art Gallery, I wasn&apos;t expecting too much. I was so wrong. Opened in 1905 and sited in Fredrick Olmsted&apos;s Delaware Park, this majestic, neo-classic structure harkens back to Buffalo&apos;s 19th century notoriety as America&apos;s industrial powerhouse. One visit to this proud repository of European and American art, both traditional and avant-garde, demonstrates that great things are, indeed, still happening in Buffalo. Be sure to take in lunch at the AK Café. The food is delicious-though you&apos;ll have to venture further into town for those famous Buffalo wings. The Buffalo Museum of Science, which been around since 1929, has seen a lot of changes over the last five years. As its permanent exhibit spaces have been transformed into highly interactive and immersive science studios, this classic has boosted itself into the 21st century. This is an abundant museum, with all the prerequisites of a solid science center covered and a large helping of hands-on exhibitions to engage kids for hours. 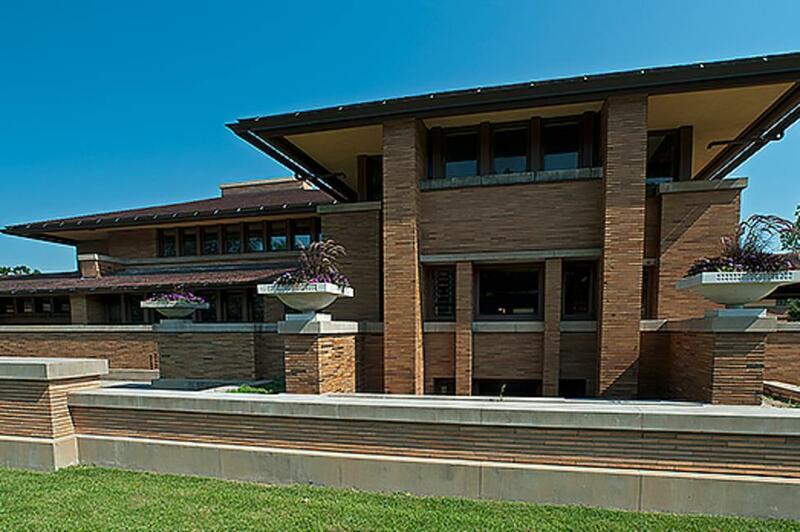 Frank Lloyd Wright&apos;s architectural legacy looms large over our nation and perhaps nowhere as strongly as in the Greater Niagara region. Darwin D. Martin House in Buffalo&apos;s Parkside East historic district, built between 1904 and 1907, was one of his boldest and largest residential schemes. You now can visit the restored house and view its custom furniture and many remarkable glass panels. In nearby Derby, Wright&apos;s Graycliff Estate features three buildings on 8.5 acres of rolling lawns and gardens. See these sites; it&apos;s the Wright move to make! Old Fort Niagara in Youngstown protects the mouth of its namesake river at the point it meets Lake Ontario. One of the oldest forts in the US, it saw combat in the French and Indian War. Today, you can visit original 17th century buildings and see a host of exhibits, frequent battle reenactments and demonstrations. Did I mention the spectacular view? For more museums in Greater Niagara, click here. We end our New York museum tour in the westernmost part of the state, in a region known for picturesque countryside and small towns on the shores of Lake Erie. That doesn&apos;t mean there aren&apos;t big time museums here, covering everything from nature to America&apos;s best known pop culture. The Roger Tory Peterson Institute of Natural History in Jamestown preserves the vast archival holdings of the world-renowned naturalist, ornithologist and conservationist. In 1934, Peterson published his wildly popular A Field Guide to the Birds, and set the standard for the modern field manual. (I&apos;m not a birdwatcher, yet even I have two RTP guides on my bookshelf.) In the course of his long career, Peterson received nearly every award available to naturalists but the best evidence of his passionate love for nature are his remarkable bird and botanical paintings, many of which are on display. The Institute hosts a revolving series of natural history exhibits, but any time you go, the beautiful museum and peaceful, hike-friendly grounds are worth a visit. "Lucy, I&apos;m home!" 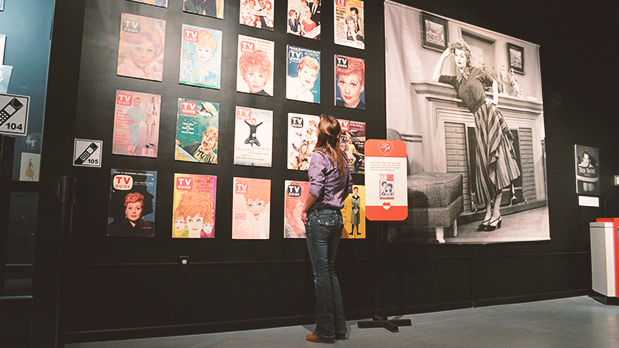 I exclaimed, entering the lobby of the Lucy Desi Museum & Center for Comedy - a shrine to the comedic joys of Lucille Ball and Desi Arnaz - and nobody blinked. Must happen a dozen times a day. I&apos;m one of the countless Americans raised on I Love Lucy reruns, but while I am well-versed on her Vitameatavegamin routine and have done my own imitation of the candy assembly line, I knew very little about the comedy genius herself - for instance, that she was raised here in Jamestown, or that her husband and partner, Desi Arnaz, fled Cuba after Batista&apos;s 1933 revolution. Here, you can wander through a mockup, in full living color, of the famous apartment where Lucy and Desi shared many an adventure with their befuddled neighbors, Fred and Ethel. There is also an annual Comedy Fest every summer that pulls in headliners like Jerry Seinfeld, Jay Leno and Lewis Black. A national comedy center, indeed! There&apos;s something evocative about lighthouses, the way their bright beams pierce the darkness. Since 1826, there has been a lighthouse on the shores of Lake Erie, near Dunkirk Harbor. Today, the Dunkirk Lighthouse and Veteran&apos;s Park Museum (rebuilt in 1876) still serves on active duty, guiding ships - or, at least, pleasure boats - to safety. Climb the spiral stairway to the upper observation level for a great look at how great a Great Lake really is! The small military museum honors those who served in the Armed Services and the grounds are great for picnics. For more museums in the Chautauqua - Allegheny region, click here. And there you have it: a whirlwind tour of the museums of New York State. The sites we&apos;ve profiled really just scratch the surface and represent only a small sample of the many hundreds more waiting to be explored all across New York. You can find out more detailed travel information on getting to New York&apos;s museums - including nearby activities, attractions and options for lodging and dining - atiloveny.com. History lovers will also delight in New York&apos;s Path Through History initiative, showcasing the state&apos;s unparalleled network of museums, historic sites and cultural institutions. Thirteen themes have been developed - including civil rights, the Revolutionary War, presidential history, sports history and more - to help you discover the events of the past and learn how they reverberate today. You can also put every square mile of New York State in your pocket with the I Love New York mobile app, available for download from the Apple Store and Google Play. Thanks for joining me, and bon voyage!